The Kinsley Company Blog: What is BIM? What is Building Information Modeling (BIM)? 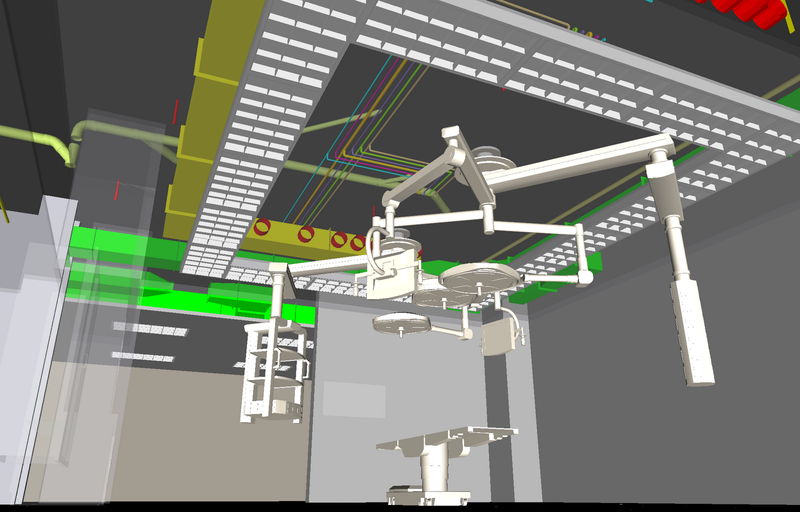 BIM is an integrated process of exploring a project’s key physical and functional characteristics digitally. Since the 1990s, the construction industry has been utilizing 3D technology in some form or another. However, BIM incorporates a parametric environment along with the input of data to give you a “functional” representation of the project. To put it in simpler terms, it’s a 3D model of the project that contains some or all of the information to generate quantity takeoff, 3D coordination, realistic visualizations, virtual mockups, 3D site logistics planning, schedule sequencing and even MEP (Mechanical, Electrical Plumbing) systems analysis. There are many real benefits from utilizing this technology on a project but two that come to mind instantly are mitigated risk and increased productivity. More so, the owner-realized benefits could be endless. Look at it from a homeowner’s perspective: Imagine if you had an as-built 3D model of your house with all the information on how it was built and the materials used. Would performing maintenance in that house be less painful if you had all the manufacturer’s data for hardware, fixtures, mechanical equipment, and lights? What if you could know what’s behind every wall or above every ceiling? Now, imagine this from a hospital owner’s perspective. How much more can they gain from this information? They could spend less time doing investigative work and more time doing the actual work needed. It’s clear that this technology (or process, as it should be called) is not a trend but a legitimate game changer for the construction industry. Unlike the days when CAD replaced hand drawings, BIM is much more than just learning a new way of drafting. It will be a complete paradigm shift for architects, engineers, and contractors in how they deliver construction projects to the end user. In April of 2010, Kinsley made the decision to move forward in the implementation of BIM. The major motivators for this decision were to ultimately provide the client with a valuable service as well as to mitigate risk. Kinsley has made many significant leaps towards implementing this new process. Some of our most notable BIM projects are WellSpan’s Apple Hill Surgery and Rehabilitation Hospital, York College Northside Commons, Hotel Sierra, Wilkes Barre General Hospital Addition, with more recent projects such as The Commons at Fieldside Village and Wheatlyn Family Medicine. It has been a year and a half since the inception of BIM implementation and Kinsley’s BIM staff are now focusing more effort on providing field solutions for the project team in addition to completing the behind the scenes work that happens in the office. Additional training will be held to educate employees on the specifics of Building Information Modeling. The more we educate each other about this process, the more we can leverage this technology to yield benefits to Kinsley and our clients. Sign up to join our email list and receive periodic emails from Kinsley Construction. © 2012 Kinsley Construction, Inc. Powered by Blogger.